Sorane/Abis SA1.2 tonearm and Cardas Clear phono wire. The SA1.2 was added to Stereophile’s Class A list of recommended tonearms in the April 2016 issue. And that is without the Cardas Clear re-wire! Key to the performance of the SA1.2 and SA1.2B is the use of very high grade ball bearings. Bearings used for horizontal movement are axial-loaded, angular-contact, thrust-bearings. These thrust bearings have zero play and are held in contact by gravity. You can think of them as acting like a unipivot, but with more than one contact point. Because they have two tapered seats, they will self-align in the presence of a load (gravity), have exceedingly low moving friction and are especially suited to angular and axial loads. The angular error needed to misalign these special bearings, commonly used in high precision machinery, are so severe that they fall well outside the operating conditions for a turntable (if you need an arm for playing in zero gravity, or turned at 90° to earth’s gravity, you will be forced to use a different style of tonearm). Traditional deep-grooved ball-bearings are not specifically designed to take an axial load, being better suited for radial loads like a wheel bearing, and they suffer from much higher rolling resistance. While the quality of the bearing materials are a key to success, the proper choice and loading of bearings is just as important. Also key to the performance of all tonearms, and especially the SA1.2 and SA1.2B, is the resonance characteristics of the arm “tube”. The SA1 design is built from four pieces of billet aluminum, milled to tight tolerances, finished, fitted by hand, and torqued to settings determined by experimental observations. The torque values chosen introduces preload on the fasteners, and produces hysteresis stresses (basically, inner friction) in the crystalline structure of the metal. These stresses damp vibration by forcing the crystalline structure to be more tightly bound, than when in a free state. The elastic and anelastic properties of all four pieces are slightly different, preventing dominant acoustical nodes from developing. When properly machined, fitted and torqued, a unit composed of several milled pieces will have lower maximum resonance, with several smaller resonance frequencies, compared to an armtube composed of one piece. These statements are backed up by scientific study into weapons systems, rockets, engines, structural elements, etc.. Resonance is a key source of failure, and the research proves the point: a single piece of billet material can have 1~3 dominant resonance frequencies, with one resonance frequency dominating the performance of the structural member. If you think about the bars that form the notes on a xylophone, you will have a practical understanding of the limitations of “one-piece” arm tubes. In practice, a combination of surface finish, damping materials, shape, density, alloy, crystalline structure, fastening technique, and fastener preload, among others, will determine the relative distribution of acoustic energy in a tonearm. Since extremely dense (heavy) materials, like depleted Uranium, don’t easily lend themselves for use in tonearms, a holistic approach is necessary. For a more thorough, and scientifically correct overview, you should start with this paper from Los Alamos. The rectangular shape, the tight assembly by hand, and the nature of billet aluminum creates a low-resonance design that is essentially quiet. The preference for 12″ arms has more to do with compliance match, than the theoretical advantages of a 12″ arm (which are nullified by the use of a spherical tip). The SA1.2 and SA1.2B maximize the possible geometry at 9.4″, while excellent damping and high mass give it the tonal balance of 12″ arms. With the SA1.2 and SA1.2B, the tracking error is very low, while the superior sonic signature of the billet aluminum arm parts, and the mass equivalent to most 12″ arms, gives 12″ arm sound in a compact form. It is ideally suited for low to medium compliance cartridges, especially those that are particularly problematic when it comes to mistracking. One thing not always stated in tonearm literature is whether the tonearm in question uses the Stevenson, Baerwald or Lofgren geometries. In many cases, older arms adhered to the Stevenson standard. The theory behind the Stevenson alignment is that it lowers distortion on the inner grooves, which are often the most challenging when playing symphonies/operas/soundtracks etc.. Since then, there was a sea change. Pop and rock outsell classical several hundred to one. In light of current trends, the Baerwald geometry works better for many pop disks, which tend to have high levels of modulation in varying areas (at the discretion of the producer and group, the loudest track could be anywhere on a disk). The Abis tonearm is a great engineering masterpiece and there is much detailed information about it's bearing system and fabrication that make it so. That is NOT what I want to talk about here. There is a terrible weakness in most tonearms (the Abis SA1.2 shares this weakness) on the market and that is the wire they are using inside the arm itself. Many of the manufactures use wire that is easy on assembly, thick insulation and wire, low grade copper or silver,and this type of wire is not very good sounding, at all. 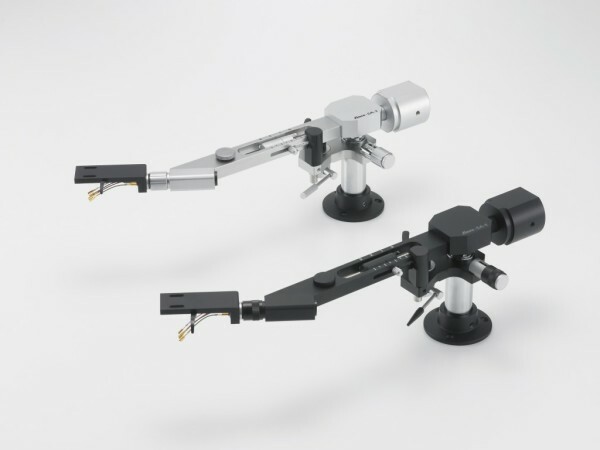 ​Treat the tonearm as if it is an "interconnect" but one that must have very special properties and you will start to understand the importance of having something special inside where it counts. You can go to the Cardas website and read about the special Litz copper that is used and watch a video on how to terminate it properly but what is really important is how it sounds. The Cardas clear tonearm wire is by far the best sounding tonearm wire there is period. This wire is so good I had made it my reference wire for making interconnects, and you can build one of the best interconnects on the planet using this wire also. I have since turned away from copper and silver and no longer use those materials in my (interconnects and speaker wire) wire, but you must have a wire in a tonearm that acts as if it is not there, being both flexible and great sounding, and the Cardas wins hands down against all comers. One last note, I now make an interface box so that as soon as I leave the tonearm I can transition to my wire (Pulse wire) as most if not all tonearm interconnects sound bad, DIN to RCA or XLR. The sound of the Abis SA1.2 tonearm is powerful and engaging. Due to its substantial construction, cut from billet aluminum, and fastened together with great care, there is virtually none of the resonance associated with S-shaped arms. In contrast to classic tonearms from the past, which suffered from resonance and irregular bearings, the SA1.2 provides the ideal mass for a cartridge like the Denon DL103 or Ortofon SPU (also, mono cartridges like the DL102, or even antique cartridges like the GE VR and Fairchild). The weakness of low mass tonearms is that they make poor matches for medium and low compliance cartridges. The Abis SA1.2 gives you precise radial-bearing performance and low resonance, while providing the necessary mass for medium and low compliance cartridges. The ultimate tonearm wire. Clear 34 AWG Tonearm Wire is extremely light and flexible. Below rewired Abis SA1.2 on Paradox Pulse turntableand with Pulse R Sapphire, micro ridge cartridge.